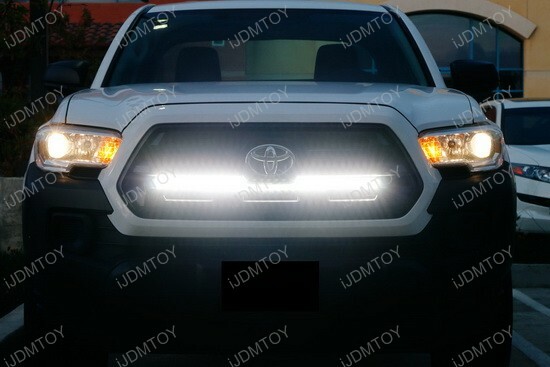 Q: How do I install this Toyota Tacoma LED light bar? 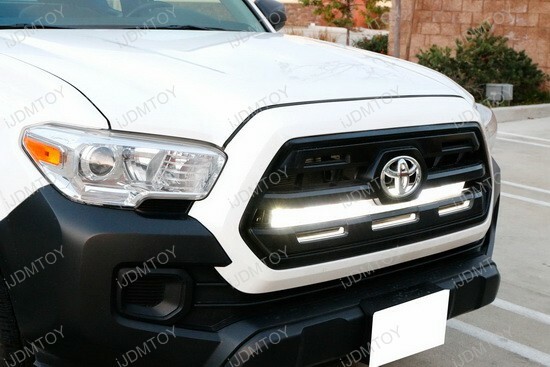 A: Step 1: Pull out the front grille. 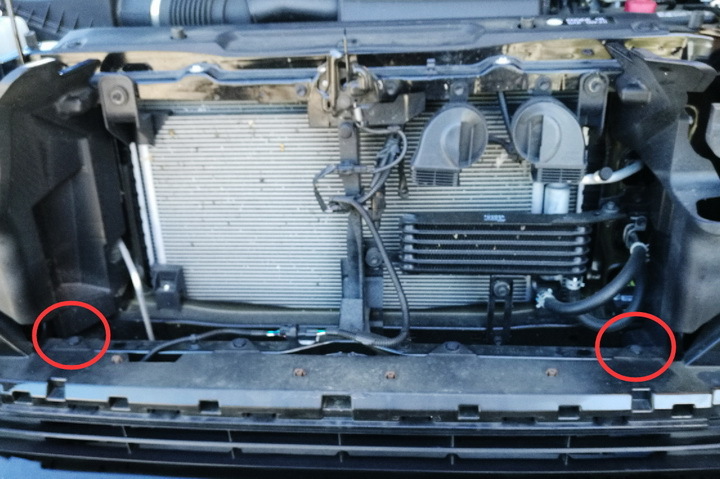 The grille is held on by 2 clips/2 bolts so you will need to take out the clips and bolts before you can release the grille. 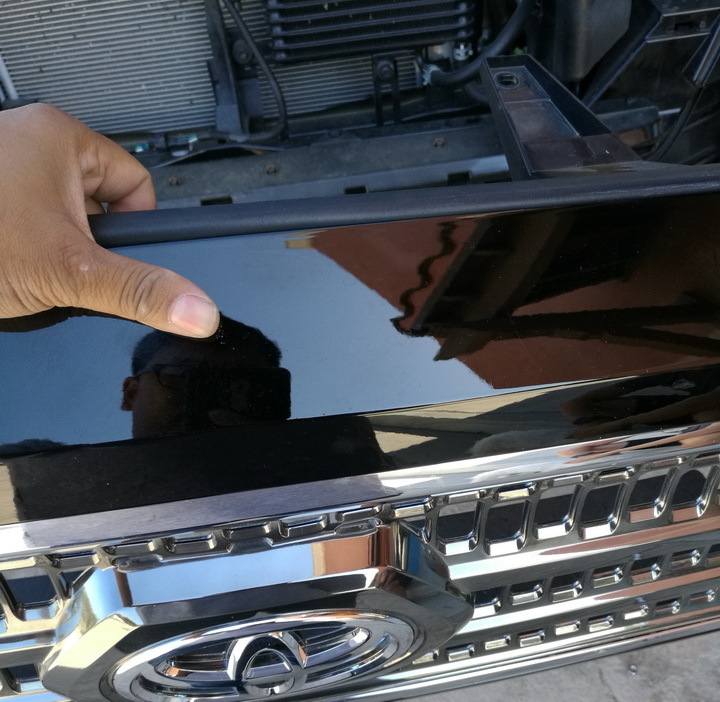 Step 2: You'll see that there are 4 clips that hold the plastic bumper to the frame. We are going to mount the L-shaped brackets onto the 2 clips at both ends. 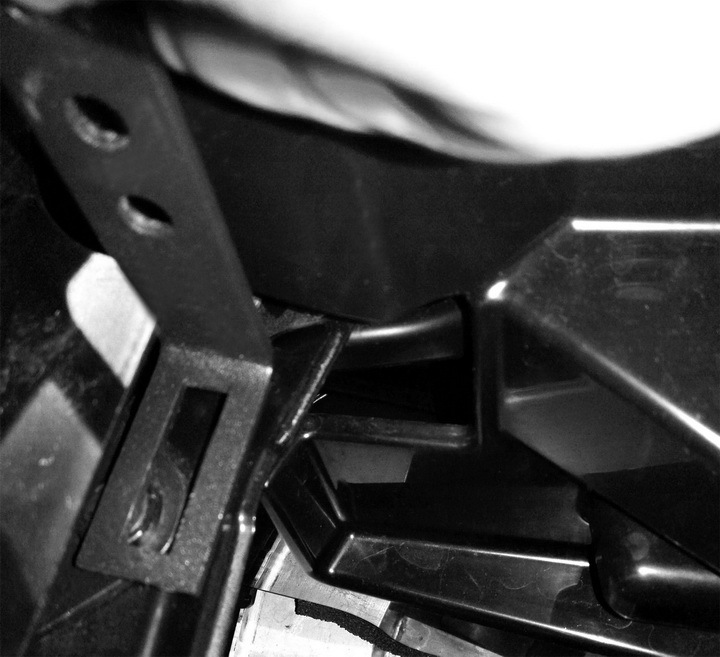 Take off the plastic fasteners in order to make room for the mounting brackets. 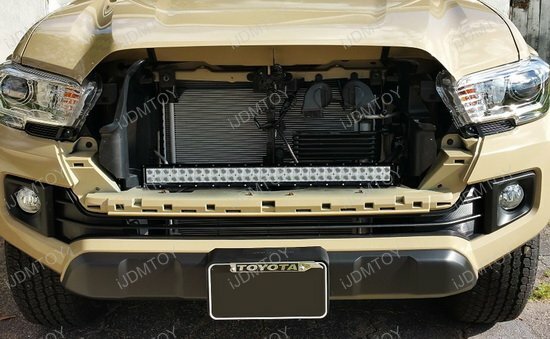 Step 3: Once you've secured the L-shaped metal mounting brackets, you can mount the LED light bar in between the brackets. 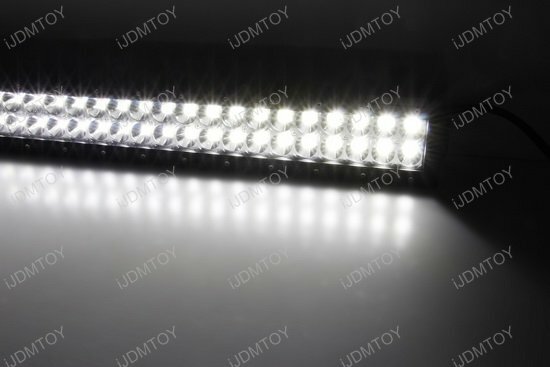 The multiple holes in the L-shaped bracket allow you to adjust the height of the LED light bar as desired. 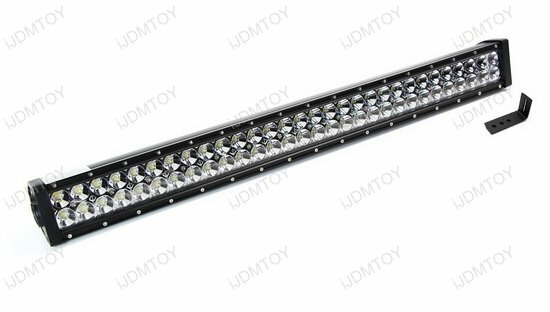 Secure the LED light bar with screw, nut, and washer. 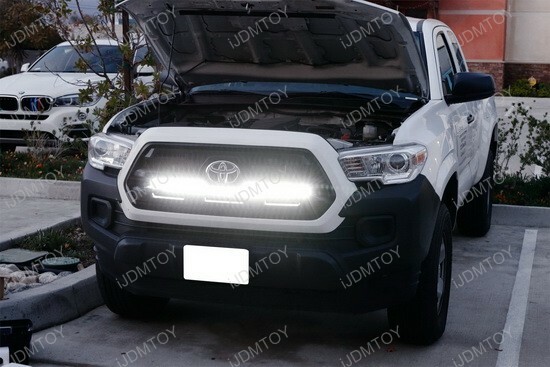 This page features a complete set of 30" behind-the-grille mount high powered LED light bar system combo for the 3rd Gen 2016 Toyota Tacoma. 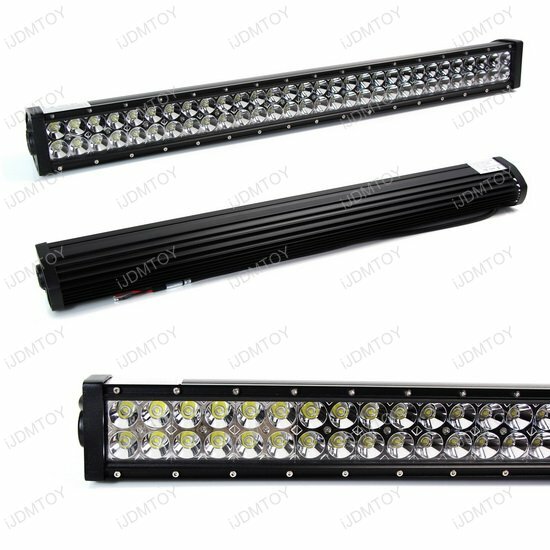 Each kit comes with a piece of of 180W CREE high powered double-row LED light bar with spot beam pattern and a pair of black powder coated behind-the-grille mounting brackets. 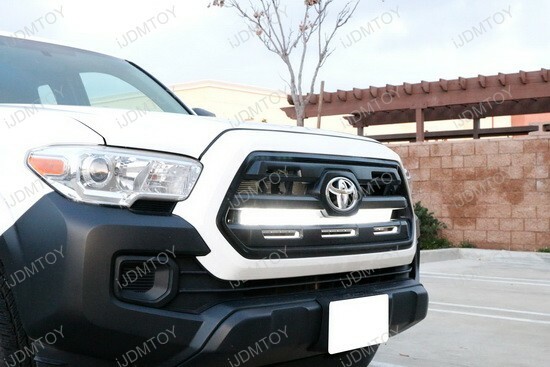 To install your new Toyota Tacoma LED light bar, remove the front grille and secure the specially designed L-shaped metal mounting brackets at the designated corner grille locations. 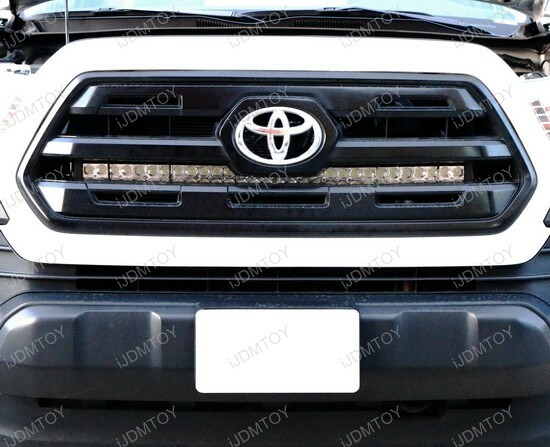 Mount your LED light bar in between the L-shaped metal brackets. 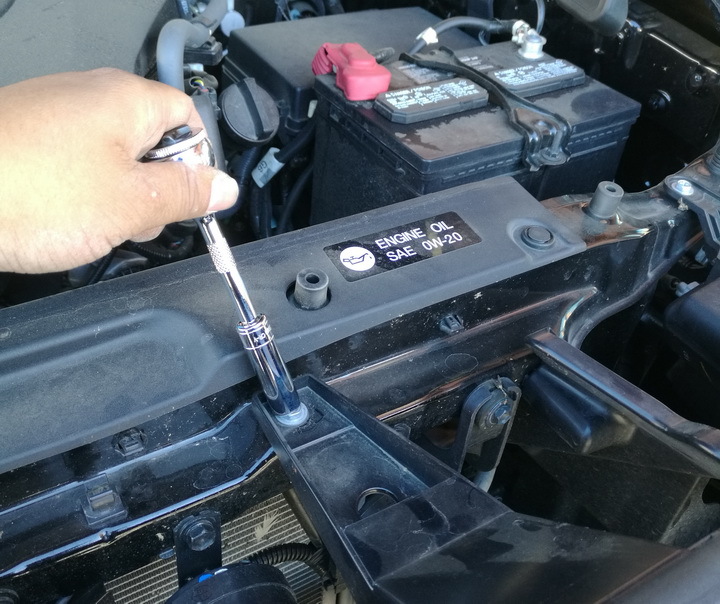 Since everything is bolt on, there is absolutely not modification required. 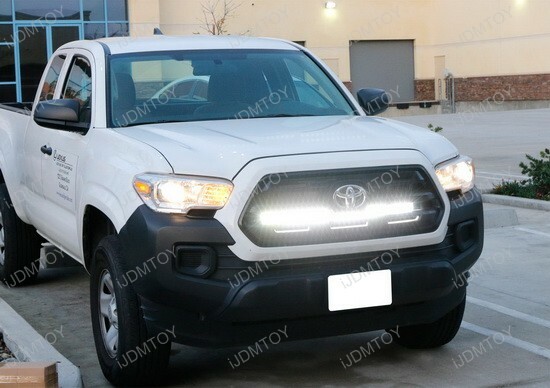 This behind-the-grille installation gives you a more discreet LED light bar placement and looks more unique that the standard lower bumper mount. 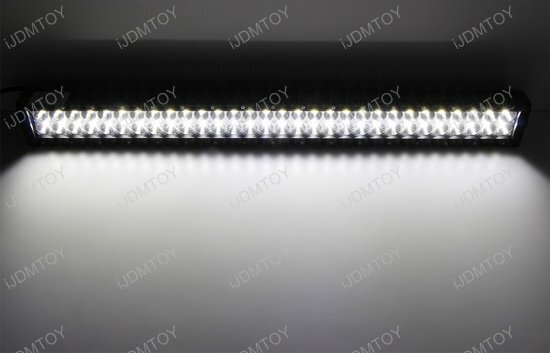 This LED light bar was worth every cent! 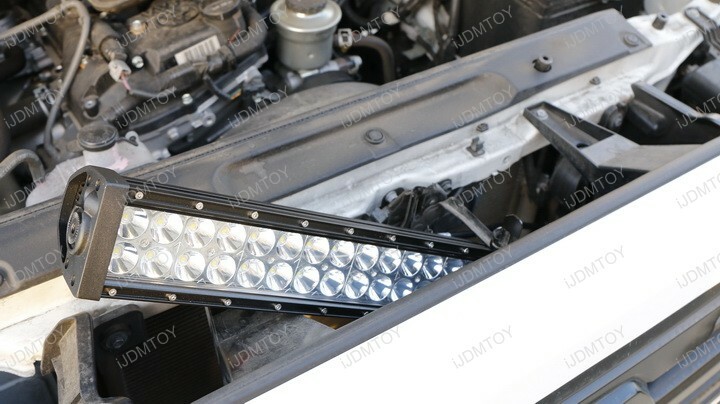 Easy installation with the metal mounting brackets provided. 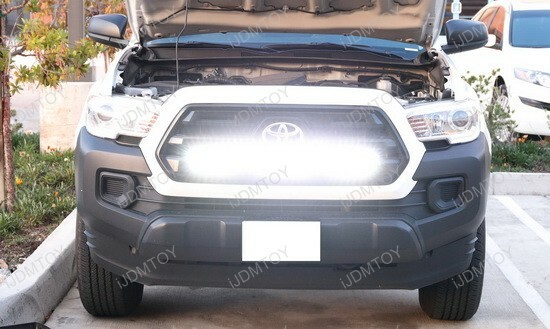 Excellent illumination! Highly recommended. 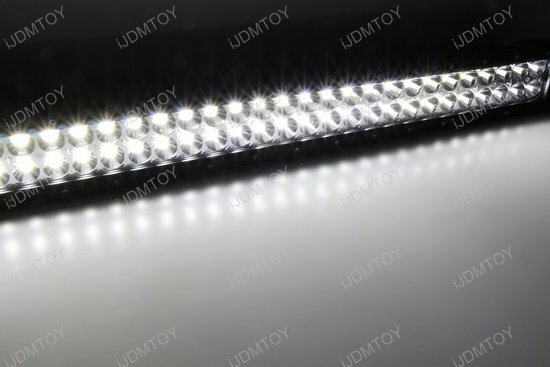 Though this is pretty expensive for an LED light bar, I think it's well worth the price. 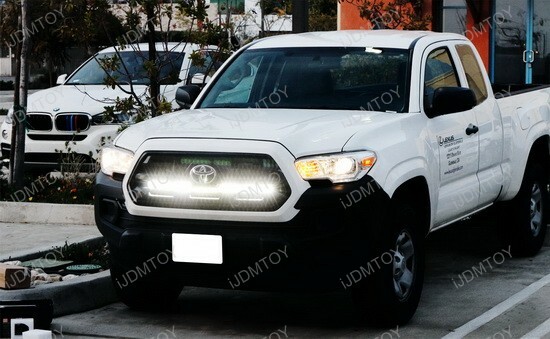 It fits behind my Tacoma's grill perfectly. 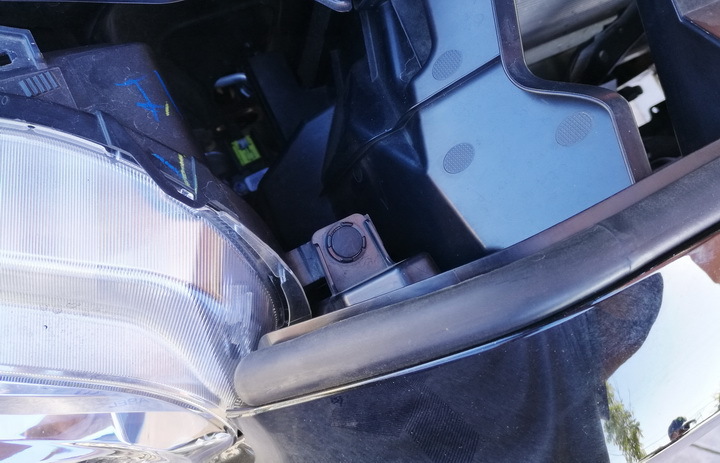 I tapped into the left headlight with a T-tap. 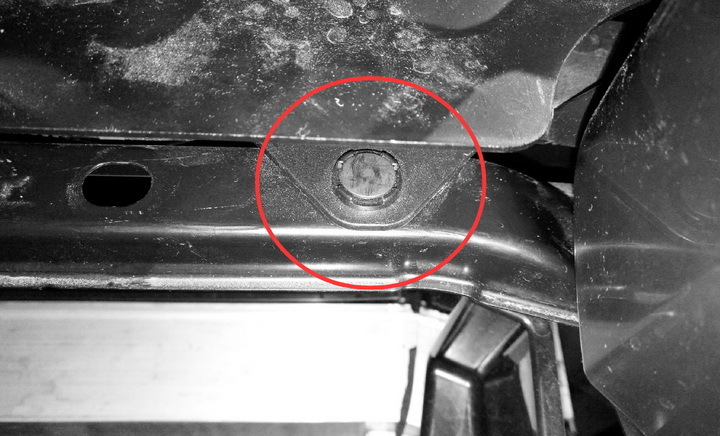 Found a hole in the firewall behind the brake booster. Very easy to install.